A vegan diet is usually based on whole plant foods, such as fresh vegetables, fruits and whole grains, supplemented with specialty vegan items. Surprisingly, many store-bought packaged foods are also vegan. Vegans don't eat poultry, meat, fish, or any animal products including eggs, milk, butter, honey, or any products that contain them. Many vegan products contain processed sugar, which some vegans avoid. Some that contain only vegan-friendly ingredients are labeled as being “processed in a facility that uses animal products,” which means that cross-contamination can occur. When you are shopping, read the labels carefully to determine which foods are vegan. Look for these vegan-friendly favorites on your next shopping trip—after you load up with produce, of course. Kashi Strawberry Fields Original combines organic strawberries and raspberries with whole grain red wheat and long grain rice that has been recognized as both organic and vegan. Cheerios cereal is made with 100 percent whole grain oats that provide soluble fiber. Long touted as a good choice for a low-fat, heart-healthy diet, Cheerios contains less than a gram of saturated fat per serving. Quaker Instant Oatmeal, Lower-Sugar Apples and Cinnamon is a hot breakfast cereal made with 100 percent whole grains. It is creamy but dairy-free when prepared with water. Vitamins and minerals are added along with only a third the amount of sugar usually found in the regular version of this breakfast staple. If you prefer no added sugar, go with the Original Quaker Instant Oatmeal and sweeten it with fruit. Nature Valley Crunchy Maple Brown Sugar Granola Bars contain whole grain rolled oats, crisp rice, maple syrup, and brown sugar. These crunchy snack bars contain no cholesterol or trans fat. 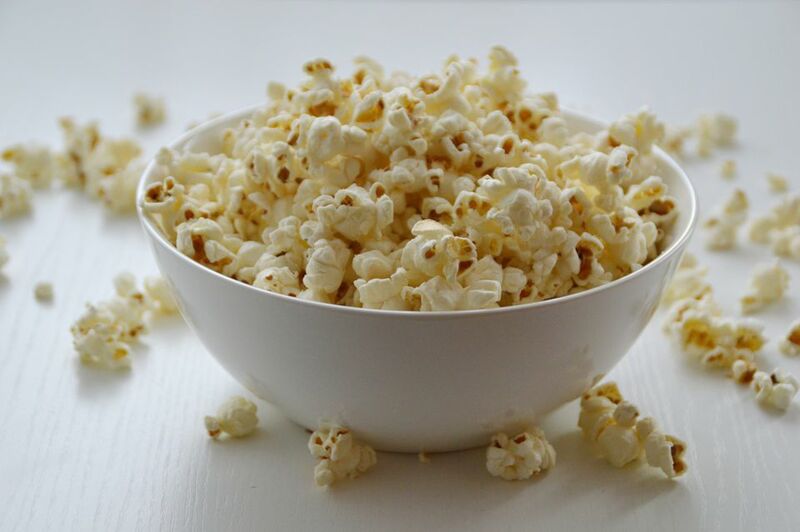 Cracker Jack Original Caramel Coated Popcorn & Peanuts contain no saturated fats and are trans fat-free. Nabisco Ginger Snaps are made with enriched flour and real ginger. The cookies are sweetened with sugar and molasses. Newman O's Creme-filled Chocolate Cookies from the Newman's Own line of products are dairy-free and wheat-free. The cookie contains organic wheat flour, unsweetened chocolate, and powdered sugar. Tostitos Organic Blue Corn Chips are the organic version of the regular blue corn chips, but this version is made with organic blue corn, organic expressed sunflower oil and sea salt. No artificial colors or flavors are added. Kettle Brand Potato Chips, Sea Salt & Vinegar are vegan, gluten-free, kosher and contain no preservatives, MSG, or trans fat. Ritz Crackers are a familiar snack cracker with a buttery taste, but they contain no animal products. Look in the refrigerated and frozen food aisles for these vegan choices that can be convenient. Smart Balance Light Buttery Spread is a dairy-free spread made with flaxseed oil. It contains no trans fat and is gluten-free. This creamy spread has half the fat and calories of butter or stick margarine. Mrs. Smith’s Deep Dish Pie Crusts are store-bought vegan pie crusts that taste like homemade. They are made with wheat flour, vegetable shortening, and no dairy products. Marie Callender Frozen Fruit Pies and Cobblers in Cherry Crunch, Dutch Apple, Lattice Peach, and Razzleberry are all vegan products. Luigi’s Real Italian Ice contains no dairy products, but it is sweetened with artificial sweeteners. The icy treat is made with filtered water, sugar, corn syrup, and natural flavors. Depending on the flavor, it is colored with beet juice concentrate or caramel. Ore-Ida Tater Tots are a potato, vegetable oil, salt, and flavoring side dish for sandwiches and soups. These items will come in handy when you are making meals. Brianna’s Poppy Seed Dressing is a creamy non-dairy vegan salad dressing with canola oil, sugar, onions, mustard flour and—of course—poppy seeds. This salad dressing can also be used as a dip for fruit. El Paso Enchilada Sauce combines tomato puree, water, soybean oil, sugar, salt, and spices. Duncan Hines Creamy Home-Style Frosting contains no dairy products despite the "creamy" in the title. It combines several sugars with vegetable oil shortening and flavoring to make this cake-topping treat. Ragu Pizza Quick Traditional Sauce is made with tomato puree, soybean oil, dried onions, sugar, and spices. Arnold’s Stone Ground Whole Wheat Bread is 100 percent whole grain and contains no saturated fat or trans fat.